$249.95 Special offer only $139/year. *Special offer is for limited time only. Act now to lock-in this rate. Your listing will appear on the Great Lakes Fishing Homepage and will be featured over free listings. Pays for itself in first booking. Bulk discounts are available for clubs, groups, counties and states looking to sponsor listings. Listing active for 365 days. You can make unlimited edits and updates to the listing anytime. 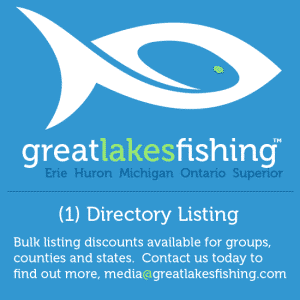 Free support from our team at Great Lakes Fishing to assist in adding or editing listings.